Kathy Lientz is the Administrator at Pleasant Meadows Senior Living and has been with Sheridan Healthcare Services since they purchased the building in December 2013. Previously she had been with Christian Homes since April of 1991. Not only was she Assistant Administrator in Chrisman but she also served as Finance Manager for Bridgeway Senior Living in the Chicago Area, another Sheridan Healthcare Services facility. Prior to Administration duties, Kathy was the Business Office Manager for many years. She also worked for two years as a Certified Nursing Assistant at Pleasant Meadows in 1985 & 1986 until deciding to stay home to raise her young children until 1991. Her role as an administrator is to oversee all aspects of the business. She is responsible to make sure that the various departments are following the regulations of the business, that they are taking care of the daily operational tasks, providing the very best of customer service, working as a team and that they are giving value to residents, families and other staff members. The administrator’s job is to chart the course the facility needs to take in order to provide the very best care and be financially sound. When she’s not in the building, Kathy tries to spend as much time as possible with her six grandchildren. Kathy and her husband have three grown sons. Michael is currently serving as a Master Sergeant in the U.S. Air Force and he and his wife, Nikki, have three children. Kyle is the Owner/Editor of the Chrisman Leader and he and his wife, Alice, have one child. Kathy’s youngest son, Tyler, is a Systems Integrator in the Office of Technology at Indiana State University. Tyler and his wife, Crystal have two children. Kathy’s husband, Greg, is the groundskeeper at Pleasant Meadows during the summertime and a teacher at Chrisman Junior High during the school year. He works hard to make sure that Pleasant Meadows has that “wow’ factor when you pull in the driveway. Kathy’s other hobbies include sewing, reading, attending sporting events and rooting for the Chicago Cubs. She is very family oriented and was taught the meaning of family at a very young age. A life achievement goal was reached for Kathy when she was able to pass the very strenuous Federal and State Administrator’s exams and to receive her Administrator’s license just weeks before her mother passed away so that her mother knew she had accomplished this dream. Nearly 28 years in the long-term healthcare industry. Finance Manager of Pleasant Meadows and Bridgeway Senior Living. Lead Pleasant Meadows to be named Reader’s Choice for the best Nursing Home and Memory Care unit in the area. She considers her biggest accomplishment though, being able to care for and work with some great people including the residents and team at Pleasant Meadows. 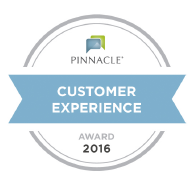 The Customer Experience Award™ is awarded to care providers who have achieved best-in-class customer satisfaction! We see ourselves as an integral part in the continuum of care of our residents. Our delivery of services must always be adaptable to the provision of the present and future medical, physical, and emotional needs of our residents. Our goal is to provide a highly skilled and supportive environment through which we can foster dignity, independence and self-determination to the fullest extent of our residents. To meet the needs of our residents and our employees, representing many disciplines, we will work together as an integrated clinical and operational team to exceed your expectation.